Newport Beach yacht club describes “hostile takeover” by former partner and kicks off legal battle to cease illegal suspension of facility uses and asset seizure. 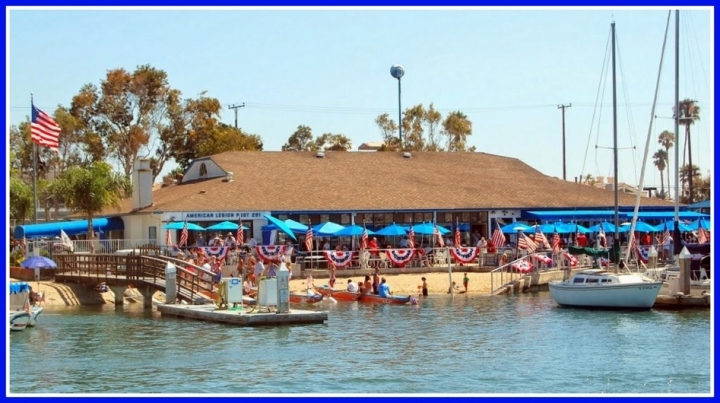 NEWPORT BEACH — After several disagreements between American Legion Yacht Club (ALYC) and American Legion Post 291 in Newport Harbor erupted, the boating organization has decided to press charges. Before the dispute began, ALYC and Post 291 had formed a partnership for 52 years. ALYC currently does not have a home due to a suspension ordered by Post 291, which has stripped the club of using any of Post 291’s facilities until further notice or ALYC complies with new bylaws. Bahia Corinthian Yacht Club allowed ALYC to use their facilities for a general meeting on Oct. 11. Members were brought up to date on the ongoing dispute with Post 291 at this time. The event that seemed to head off the dispute occurred in August or September 2017 when ALYC purchased a 40-foot trawler to use as a race committee boat during regattas. A Post 291 executive board member approached Commodore Mike Berdine to ask when ALYC would gain permission for the purchase. Between November 2017 and April 2018, there were a series of meetings regarding bylaws and articles of incorporation. ALYC claims Post 291 said there were “many problems” with ALYC’s bylaws and the use of American Legion as a name. In September, Judge Advocate Wright releases the newly drafted ALYC bylaws to Post 291 and ALYC argues that at no time was any input taken from ALYC’s board members. The draft is passed unanimously by Post 291. ALYC, in conflict, states they will not abide by the new bylaws and Post 291 makes the decision to suspend ALYC. Shortly afterwards, all ALYC sailboats are locked to the dock by Post 291 and all meetings are cancelled. As a result, a sailing event by Women’s Sailing Association of Orange County was cancelled. Several more attempts were made by ALYC to resolve the dispute. During a board meeting that took place on Oct. 15, a decision is made to retain legal counsel. Berdine e-mailed The Log a statement, on Oct. 25, announcing ALYC may file a lawsuit against Post 291. Post 291’s actions are described as a “hostile takeover” by ALYC in the release. According to an unnamed source, Post 291 has been quiet about the dispute. The Log reached out to Post 291 for commentary, but they were unable to be reached by print time. The latest information and updates by ALYC can be found at alyc.com.